Cut each hard boiled egg into 2 pieces and keep it aside. Soak the cashew nuts in little water. Blanch the tomatoes (add tomatoes in a pan of boiling water for 2-3 minutes and then transfer them to a bowl of cold water), then peel off the skin and grind to a paste / puree and keep it aside. Heat 1 tbsp oil in a pan and add sliced onions and saute well till transparent. Allow it to cool and then grind to a smooth paste together with soaked cashew nuts and keep it aside. In a thick bottomed pan, heat 1 tbsp oil and 25 gm butter and add garlic paste and ginger paste and saute well till the raw smell disappears. Reduce the flame and add turmeric powder and mix well. Then add kashmiri chilli powder and mix well. Add tomato puree and saute well till oil appears on top. Add pepper powder and mix well. Then add onion-cashew paste and mix well. Add 1 1/2 cup of water, salt, garam masala, kasuri methi and chopped coriander leaves and mix well. When it starts to boil, add sugar and mix well. Add fresh cream and mix well. Then add the boiled eggs and boil for 5 minutes on low flame. Adjust salt and water (add hot water if required). Transfer to a serving plate and garnish with chopped coriander leaves and fresh cream and add 1 tbsp butter...Serve hot..
Wash and soak the bamboo rice in water for about 8-10 hours or overnight. Then pressure cook it adding 2-3 cups of water for 5-6 whistles until it turns soft. In a pan, melt the jaggery on low flame adding 1 cup of water, strain it and keep it aside. When pressure releases, open the cooker and add the jaggery syrup and mix well. 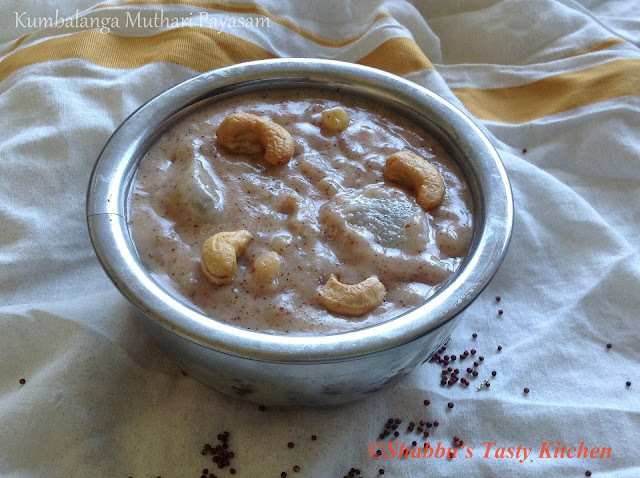 Add thin coconut milk to this and mix well and cook till the payasam thickens, stirring in between. Then add the thick coconut milk and cardamom powder and simmer in low flame for 2 minutes. 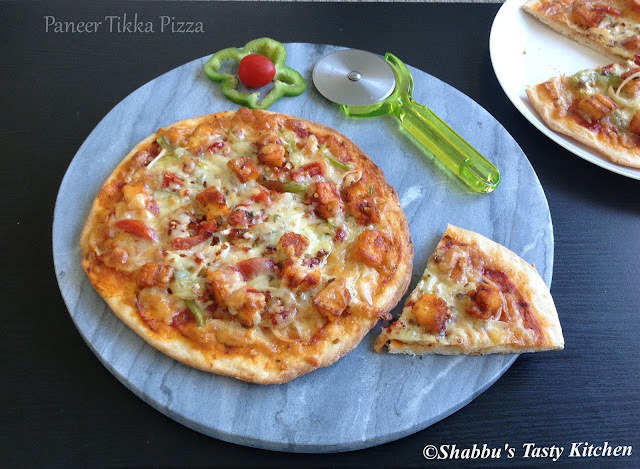 Peel and chop churakka into small pieces and cook it in a pan adding 2 slit green chillies, salt and enough water. 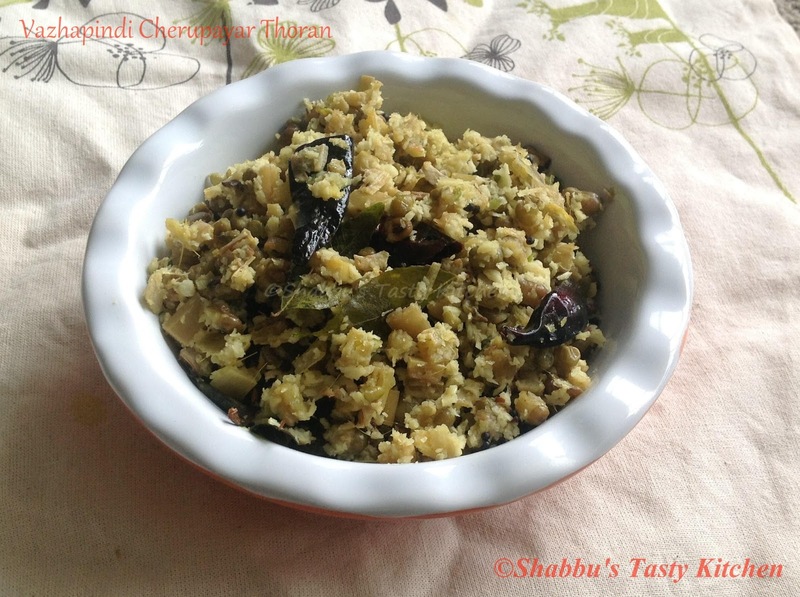 Grind grated coconut with cumin seeds, 1 green chilly and 1/2 tsp mustard seeds to a smooth paste. Mix this ground coconut paste with yoghurt and then add to the cooked churakka, mix well and heat in low flame for 2-3 minutes. Don't allow to boil. Peel and chop vellarikka into small cubes. 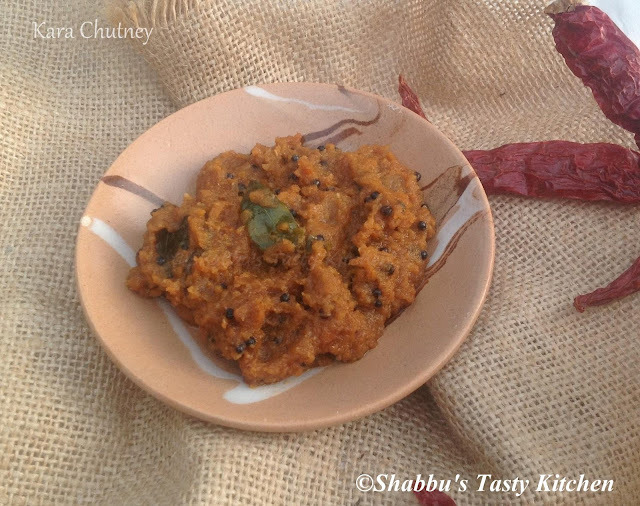 Grind grated coconut with cumin seeds, green chillies, shallots and 1/4 tsp turmeric powder to a smooth paste. In a pan, add the vellarikka pieces and cook it adding 1/4 tsp turmeric powder,salt and enough water on medium flame until it turns soft and tender. Add the ground coconut paste to the cooked vellarikka, mix well and cook for 4-5 minutes on medium flame, stirring occasionally. Heat little oil in a small pan and splutter mustard seeds. Add fenugreek seeds, curry leaves and dry red chillies and pour this over the pulissery... Serve with rice..
Preheat oven to 180 degree celcius. 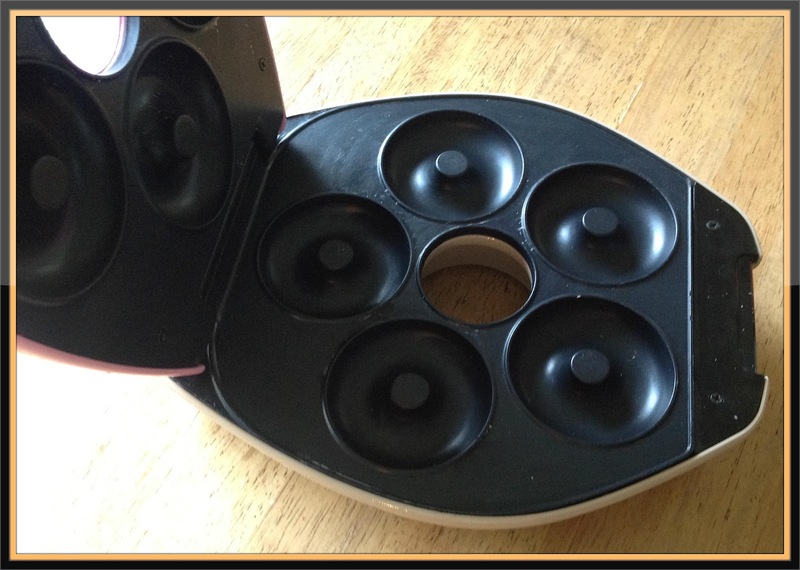 Grease a 8-12 hole mini loaf cake mould and keep it aside. In a bowl, combine the flour, sugar, butter and eggs and beat together for 2 minutes or until smooth. Then add 3/4 of the chocolate chips and fold gently. Divide the batter between the holes in the mini loaf cake mould ( about 2/3 full of batter in each hole). 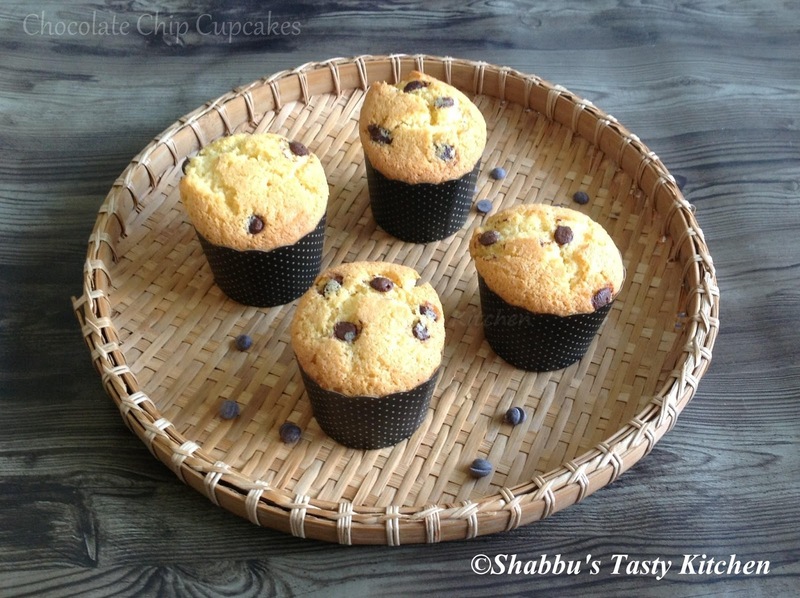 Sprinkle the rest of the chocolate chips on top and then transfer the mould to the oven. Bake in the preheated oven for 15-20 minutes or until the toothpick inserted in the centre comes out clean. Cut the boneless chicken into small cubes and keep it aside. Heat oil in a pan and add chopped green chilly, ginger, garlic and onion and saute well. Add kashmiri chilli powder and turmeric powder and mix well. Add curry leaves and chopped tomato and saute well till soft. Add cleaned chicken pieces and salt and saute well till the chicken gets cooked. Add garam masala and curry leaves to this and mix well. 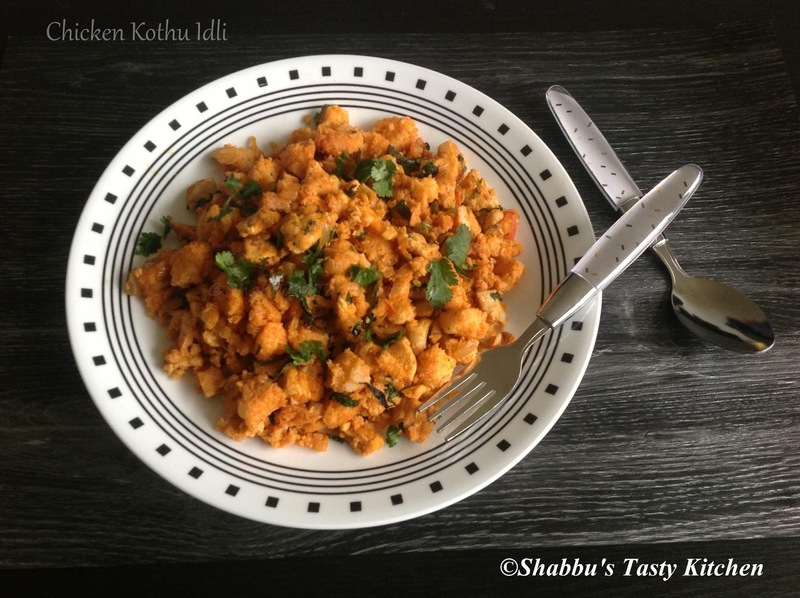 Then add chopped idlis and mix well by crushing / mincing the idlis and chicken pieces using a spatula / ladle until everything blends well. Soak green gram/ cherupayar in water overnight and pressure cook it adding enough water and salt and keep it aside. Cut the banana stem into thin rounds and pull the fibre from the edges using fingers and remove them. Then chop into fine pieces and soak them in water till you use. Crush together grated coconut, shallots, garlic cloves and green chillies and keep it aside. Heat oil in a pan and splutter mustard seeds. Add dry red chillies and fry. Add chopped banana stem, turmeric powder and salt and mix well and cook covered in low flame, stirring occasionally. Sprinkle little water if required. Peel the skin of the green mango and chop into small pieces. Then mix it with chilli powder, fenugreek powder, chopped green chillies and salt and keep it aside for 30 minutes. Grind grated coconut and 1/2 tsp mustard seeds together to a fine paste and keep it aside. Heat oil in a pan and splutter mustard seeds. Add dry red chillies and curry leaves and fry. Add the mango mixed with chilli powder and saute till it becomes soft. Add the coconut paste and saute till the raw flavor disappears. In a blender, add tender coconut water and half of the tender coconut pulp and blend well. Keep it aside. Chop the remaining tender coconut pulp into small pieces and keep it aside. Heat the milk in a sauce pan and when it starts boiling, add the condensed milk and sugar and mix well. Keep stirring until the mixture reaches the required consistency. Then add the blended tender coconut mixture and the chopped tender coconut pieces and mix well. Add in the cardamom powder and mix well. Switch off the flame. Heat ghee in a small pan and roast the cashew nuts until light golden. Wash and cut kovakka into small rounds. Soak tamarind in 1/4 cup of water,extract its juice and keep it aside. Heat a pan and dry roast grated coconut, peppercorns, fenugreek seeds and 3 dry red chillies till it becomes golden brown. Then reduce the flame and add kashmiri chilli powder, coriander powder and turmeric powder and mix well. Switch off the flame and allow it to cool. Then grind it to a smooth paste adding little water and keep it aside. Heat 2 tbsp oil in a thick bottomed pan and add chopped kovakka, shallots and green chillies and saute for 5-8 minutes on medium flame until the shallots turn light brown. Add ground coconut paste and tamarind extract and mix well. Add 1 1/2 cup of water and salt to this, mix well and cook it covered on low- medium flame for 10-12 minutes until the kovakka becomes soft and the gravy thickens. Boil water in a deep pan, add pasta, 1 tsp of oil and salt and cook for 8-10 minutes or according to the package instructions. Drain the pasta and keep it aside. Clean the squid and marinate it with 1 1/2-2 tsp chilli powder, 1/4 tsp turmeric powder , pepper powder , lemon juice and salt and keep it aside for 20-30 minutes. Then fry the marinated squid and keep it aside. Heat oil in a pan and add sliced onions and saute well. Add ginger-garlic paste and green chillies and saute well till the raw smell disappears. Add 1 tsp chilli powder, 1/4 tsp turmeric powder and 1/2 tsp garam masala and mix well. Then add the fried squid and chopped coriander leaves and mix well. Adjust the salt. Add cooked pasta to this , mix well and cook covered for 5 minutes in low flame. 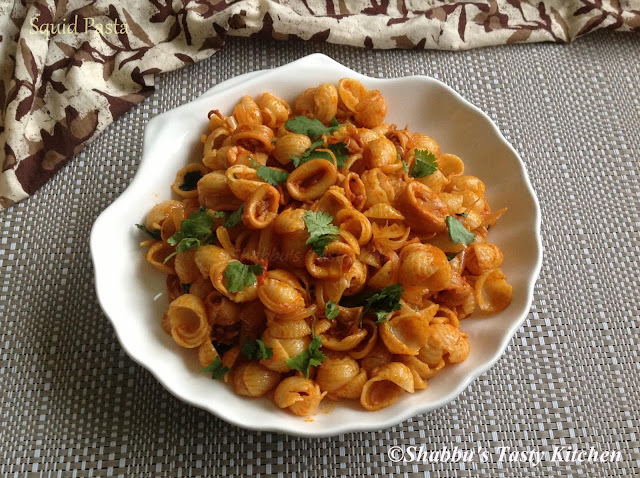 Switch off the flame and garnish with chopped coriander leaves and serve hot.. 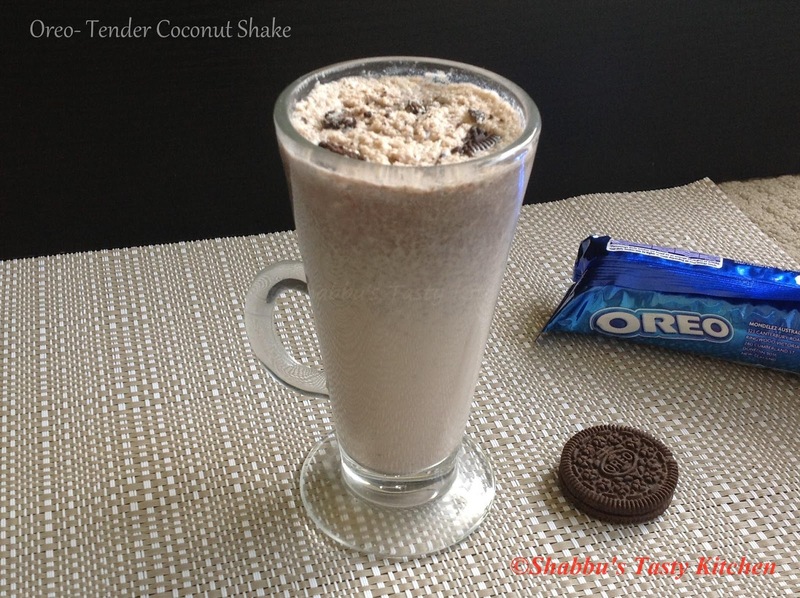 In a blender, add tender coconut pulp, oreo cookies, chilled milk, dates and sugar and blend well until smooth. Wash and soak the rice in water for 30 minutes. Drain the water and keep it aside. Boil 4-5 cups of water in a deep pan adding cardamom, cloves and cinnamon. Then add the drained rice and salt and cook in medium flame till done. Drain the water and divide the cooked rice into 3 portions and keep it aside. For orange / saffron layer, heat oil in a pan and saute chopped onion till soft. Add ginger-garlic paste and saute till the raw smell goes. Add tomato paste, chilli powder, garam masala and salt and cook on high flame till the gravy thickens. Then add one portion of cooked rice and grated carrots and mix well. Switch off the flame. 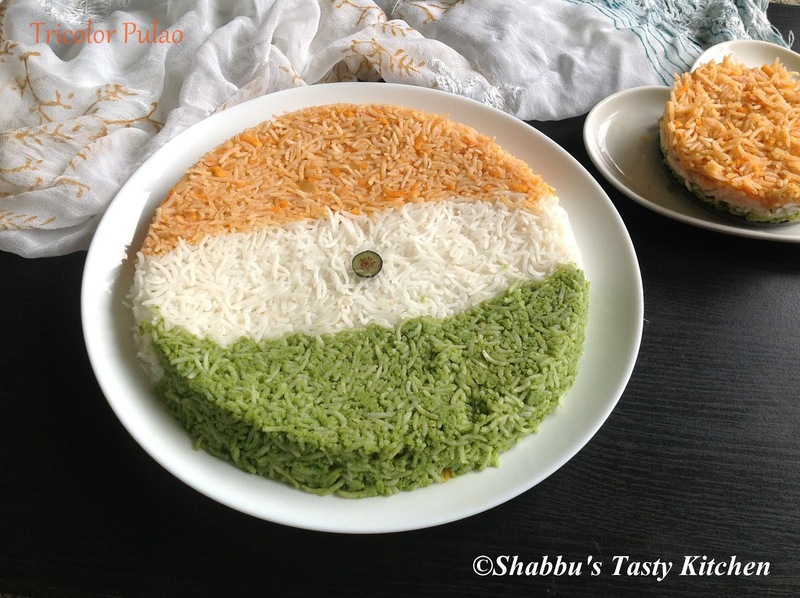 For green layer, grind coriander leaves, grated coconut, green chillies, lemon juice, cumin seeds and salt together to a smooth paste. Then mix this with other portion of cooked rice. 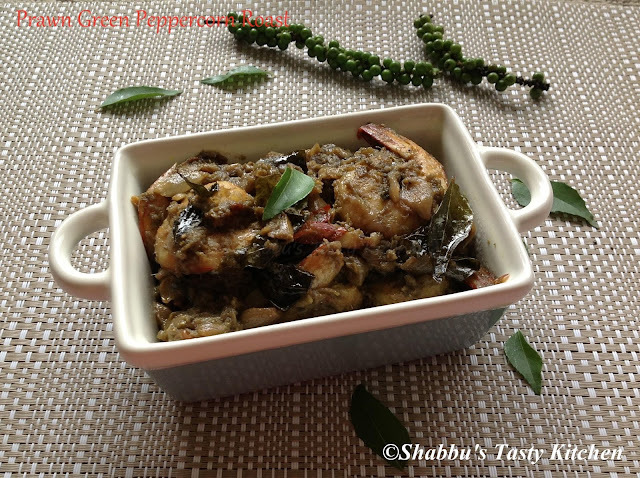 You can also use spinach puree for the green layer. Grind grated coconut, garlic,cumin seeds, chilli powder and turmeric powder to a coarse paste adding 1/2 cup of water. Cook toor dal in a pressure cooker adding enough water till soft. Once the pressure releases, open the cooker and add the ground paste and bring this to boil. Then add cleaned muringayila and salt and cook covered till done. Switch off the flame. Heat oil in a pan and splutter mustard seeds. Add dry red chillies and curry leaves and fry well. Preheat oven to 180 degree celcius and line a 12- hole cupcake tin with paper cases and keep it aside. 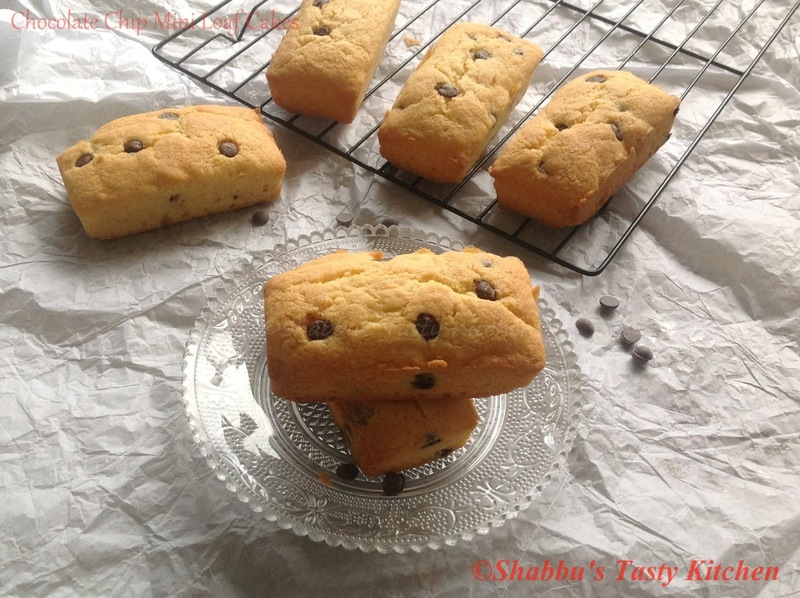 Fold in 3/4 of the chocolate chips and then divide the batter between the paper cases. Sprinkle the rest of the chocolate chips on top and then transfer to the oven. In a pressure cooker , add the cleaned mutton pieces, turmeric powder and salt and mix well and cook till done adding 1/4 cup of water. In the meantime, heat oil in a pan and fry the sliced onions till golden brown and keep it aside. In the same oil, fry the green chillies and keep it aside. Then grind the fried onions and green chillies with chopped coriander leaves to a paste. Keep it aside. 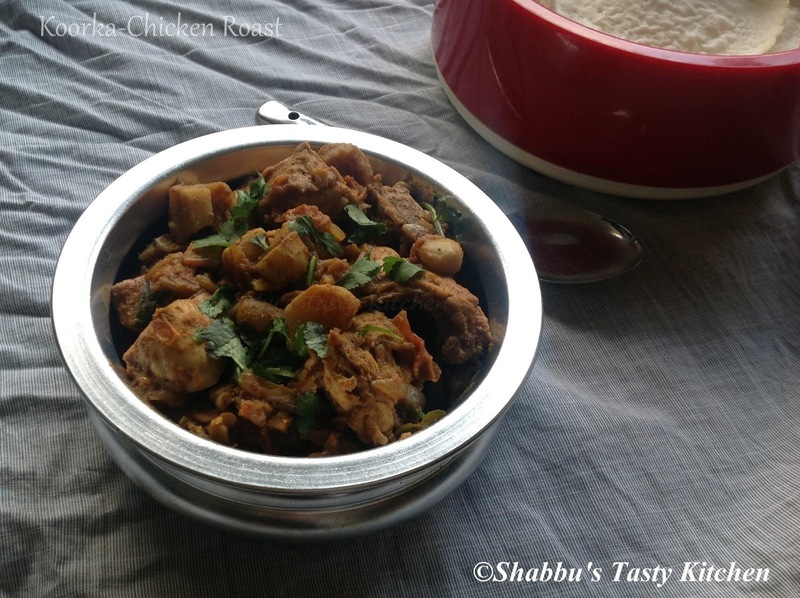 Heat a thick bottomed pan and add the cooked mutton with its stock and ground masala / paste and mix well. Check salt and add if required.Then cook it for 10 minutes at medium flame. Wash the spinach leaves and chop them into small pieces and keep it aside. Grind grated coconut with cumin seeds and a garlic clove to a smooth paste and keep it aside. In a pressure cooker, add the toor dal and cook it adding enough water for 1-2 whistles. Once the pressure releases, open the cooker and mash it lightly and add the chopped spinach, chilli powder, turmeric powder and salt and mix well. Cook it on medium flame till spinach is cooked and then add the ground coconut mixture, mix well and cook for 4-5 minutes on low flame. Adjust the salt and add little water if it is very thick. When it starts to boil, switch off the flame. Crush the ginger, garlic, green peppercorns and 5 shallots together and keep it aside. Clean the prawns and marinate it with the crushed mixture, turmeric powder and salt and keep it aside for 20 minutes. Heat 2 tbsp oil in a pan and add fenugreek seeds and curry leaves and saute for a couple of seconds. Add sliced shallots and saute well till it turns golden brown in colour. Add coriander powder and fennel powder and saute well till the raw smell disappears. Add marinated prawns to this and mix well. Then add 1/4 cup of water and cook it covered till done and the masala is well coated with the prawns. Then add tamarind water and mix well and cook for 2-3 minutes on medium flame. In a bowl, add gram flour, rice flour, chilli powder, turmeric powder, ginger-garlic paste, chopped green chilly, garam masala, asafoetida, curry leaves and salt and mix well. Add required water little by little to this and make a thick batter. Heat oil in a pan on medium heat and dip the boiled quail eggs in the batter and deep fry until it turns golden colour. Then add 3/4 of the blueberries and fold gently. Sprinkle the rest of the blueberries on top and then transfer the mould to the oven. 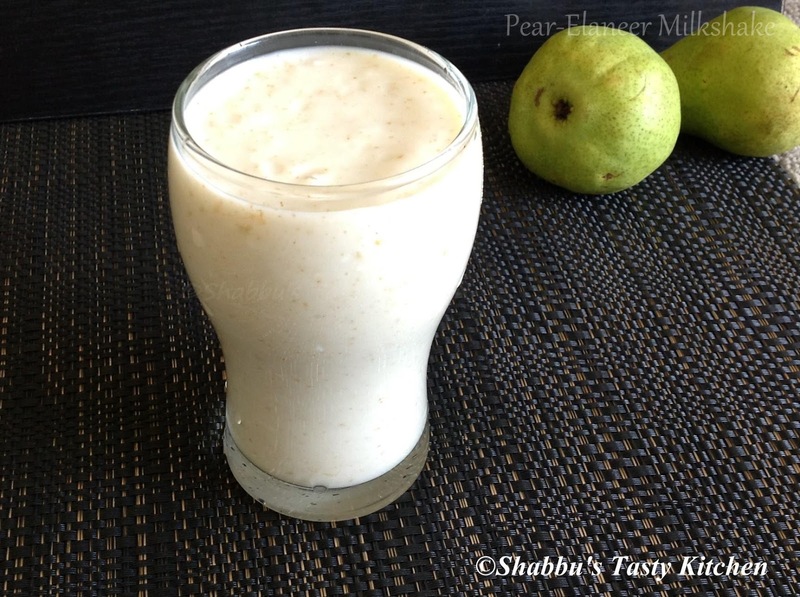 In a blender, add chopped pear, tender coconut pulp, chilled milk and sugar and blend well until smooth. Heat oil in a pan and add sliced onion, ginger, green chillies and curry leaves and saute well. Add turmeric powder, coriander powder and chilli powder one by one and mix well. Add chopped tomato and salt , mix well and cook covered on low flame till soft. Add thin coconut milk, chopped potato, cumin powder and salt and cook covered till half done. Add cleaned cauliflower florets to this and cook covered till cooked. Then add thick coconut milk and boil well for 3-4 minutes. Heat little oil in a small pan and splutter mustard seeds. Add dry red chillies, curry leaves and sliced shallots and fry well till brown. Heat 3/4-1 tbsp butter in a thick bottomed pan and add chopped garlic and saute. Add chopped onion and saute well till it turns soft. Add chopped broccoli and saute well. Add 1/2 cup of milk and 3/4 cup of water to this and allow to cook adding little salt. Switch off the flame and allow it to cool and then using a blender, puree/ blend until smooth. Heat 1 1/2 tbsp butter in another thick pan and add plain flour and saute till the raw smell disappears on low flame. Add remaining milk and crushed pepper to this and mix well. Then add broccoli puree, mix well and allow to boil for 5 minutes, stirring continuously. Adjust salt and pepper powder and switch off the flame. Clean the chicken pieces and marinate it with pepper powder and salt for about 20 minutes. Heat 2 tbsp oil in a pan and add sliced onion and little salt and saute till soft. Add crushed ginger and garlic and saute till the raw smell disappear. Add chopped tomato and mint leaves to this and saute till soft. Add chilli powder, coriander powder and turmeric powder and saute till oil appears on top. Remove it from flame and let it cool for 10 minutes and then grind it to a fine paste without adding water. Heat 2 tbsp oil in the same pan used for sauting onion and add marinated chicken pieces and cook for 5 minutes. Add ground onion masala paste to this, mix well and bring to boil. Reduce the flame and add 3/4 -1 cup of water and cook till the chicken is done. Add the ground cashew paste, mix well and remove from flame... Garnish with chopped coriander leaves and serve hot..
Cut the crab into pieces and clean it and keep it aside. Peel and chop potatoes into cubes. Heat a pan and dry roast the grated coconut with peppercorns, cardamoms and cinnamon till brown. Switch off and then grind it to a fine paste adding little water and keep it aside. In a clay pot or pan and add cleaned crabs, 2 tsp chopped ginger, 2 chopped garlic, 1-2 slit green chillies, 1/2 sliced onion, 1/4 tsp turmeric powder, 2 tsp coconut oil, cubed potatoes, curry leaves and salt and mix well. Then add enough water to cook and cook it covered till done. Heat 1 tbsp oil in another pan and add remaining ginger, garlic, green chillies, onion, shallots and curry leaves and saute till light brown. 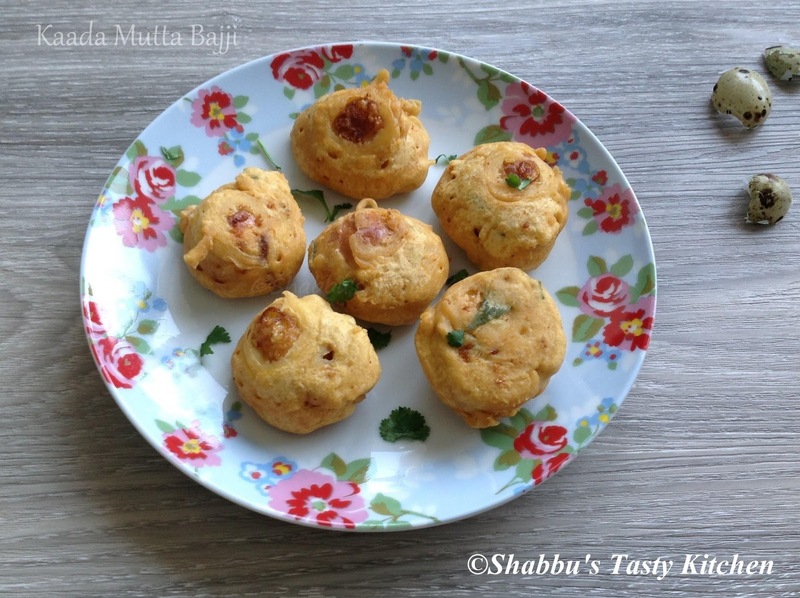 Add 1/4 tsp turmeric powder, coriander powder and chilli powder to this and mix well. Add cooked crabs along with potatoes and required water and mix well. Adjust the salt and allow it to boil. Then add the ground coconut paste, mix well and cook it for about 5-7 minutes on medium flame. In a blender, add the chopped watermelon, lemon juice, sugar and cold water and blend well. Heat little oil in a pan and add grated radish and saute for 3-4 minutes at medium flame until it turns soft and the raw smell goes off. Add garlic, 4 dry red chillies and tamarind and saute for a minute. Add coriander leaves and salt and stir well. Switch off the flame and allow to cool completely. Then grind it together to a smooth paste without adding water. Heat oil in a pan and splutter mustard seeds. Add finely chopped okra, asafoetida, chilli powder, chaat masala and salt and fry till crispy and brown. Remove them from the pan and keep aside to cool. 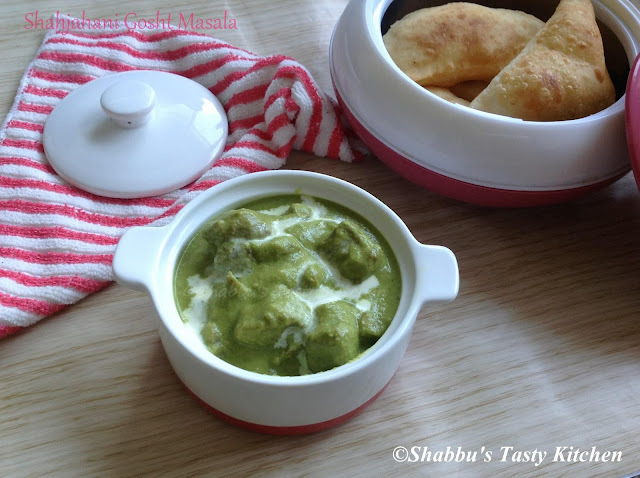 In a bowl, add yoghurt, green chillies, coriander leaves and salt and mix well. Cut the chicken into small pieces, clean it and keep it aside. Heat oil in a thick bottomed pan and saute sliced onion and green chillies with little salt till transparent. Add ginger and garlic and saute till raw smell is gone. Add chopped tomatoes and cook till soft and mashed. Add coriander powder, red chilli powder, turmeric powder and fennel powder, mix well and cook for 2-3 minutes. Add the cleaned chicken pieces and mix well. Sprinkle in the garam masala and cook on low flame till it releases stock and is 80 % done. Meanwhile, heat ghee in a large pan and fry cardamoms, cloves, cinnamon, bay leaf and peppercorns. Add drained rice to this and saute for 4-5 minutes on medium flame till crisp. Add the water with salt and cook covered on low flame till the water is absorbed by the rice. Add the rice into the cooking chicken and stock and mix well. Then cook it covered on low flame for another 15 minutes or till completely cooked. Recipe adapted from Rafeeda's " The Big Sweet Tooth"
Clean and cut each sardine into 2 pieces. Heat oil in a claypot/ manchatti and add sliced onions and saute until it turns brown. Add chopped ginger, garlic, green chillies, curry leaves and salt, mix well and cook for 2-3 minutes. Add chilli powder, coriander powder and turmeric powder and saute well. Then add 1 1/2 cups of hot water to this, mix well and allow to boil. When it boils, add kudampuli and cleaned sardines and cook covered on low flame for 10 minutes till the fish is done and the gravy thickens. Preheat oven to 180 degree celcius. Lightly spray the doughnut pan with baking spray and keep it aside. In a large bowl, add all purpose flour, baking powder, salt and mix well. In another bowl, mash the ripe banana. Then add sugar, milk, oil and vanilla essence to this and mix well. Add wet ingredients ( step 3) to the flour mixture and mix well until combined. Fill about 2/3 full of batter into the prepared doughnut pan using a spoon or a piping bag. Then bake in the preheated oven for 15 minutes or until light golden brown. Remove from the oven to a wire rack to cool completely. 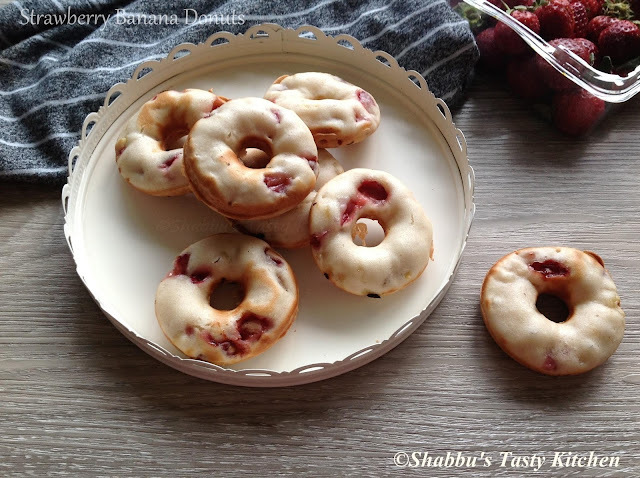 I used electric doughnut machine for preparing these donuts/ doughnuts......Preheat the doughnut machine. 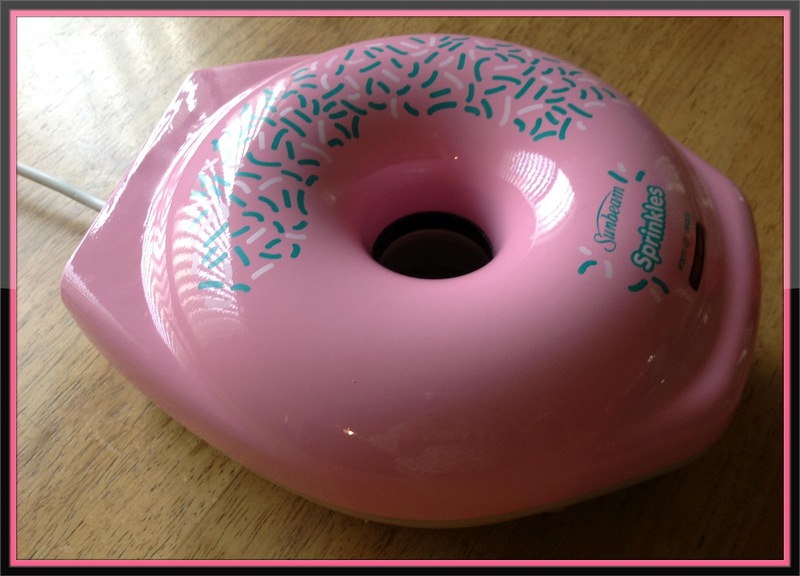 Spray doughnut machine with baking spray and fill bases of preheated doughnut rings with half of the batter. Then close the lid and cook for 6 minutes or until doughnuts are golden and cooked. Wash and soak ragi/ muthari in water for 3-4 hours. Drain it and then grind it with grated coconut in a blender adding enough water. Then strain it through a sieve and squeeze out/ extract all its milk and keep it aside. 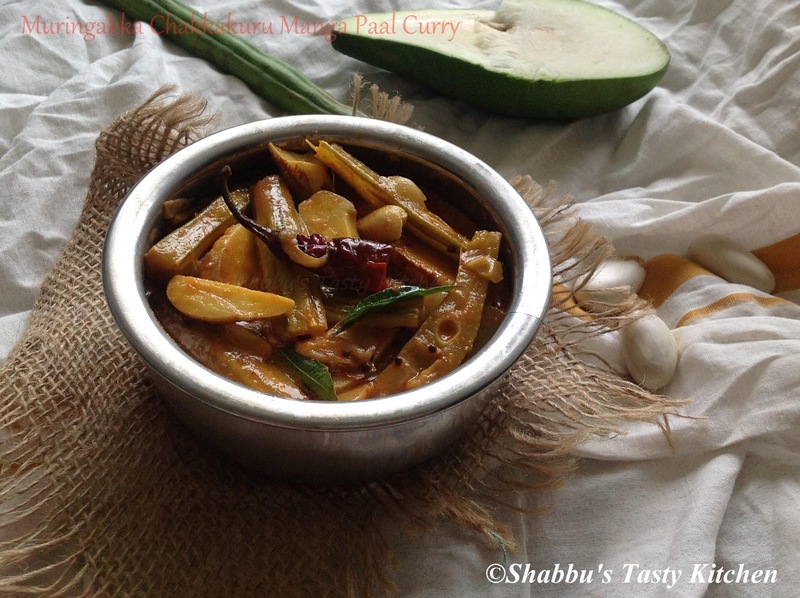 Cook the kumbalanga and kadalaparippu in a pan adding little salt and enough water. In a thick bottomed pan, add the extracted milk and sugar and mix well at low flame. 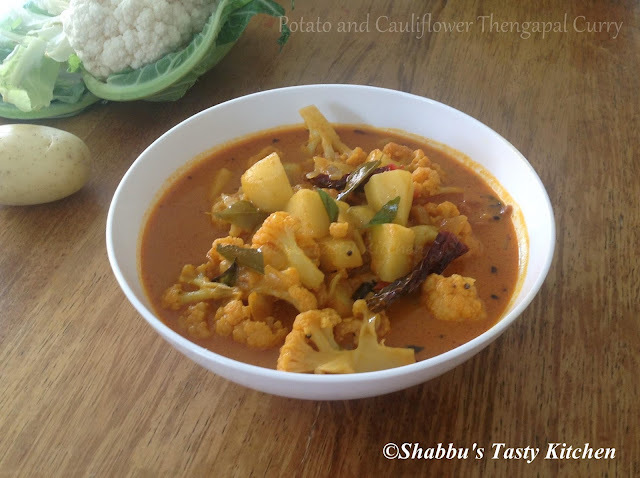 Keep stirring and when the mixture starts thickening, add the cooked kumbalanga and kadalaparippu and cook for 4-5 minutes. Add crushed cardamom to this, mix gently and switch off the flame. Heat ghee in a small pan and fry the cashew nuts till brown. Chop snake gourd into small pieces. Grind grated coconut, cumin seeds, 4 shallots, green chillies and 1/2 tsp turmeric powder together to a smooth paste adding little water and keep it aside. In a pan/ manchatty, add the cleaned prawns, chopped snake gourd, chilli powder, 1/4 tsp turmeric powder, crushed ginger, garlic and salt and mix well. Add 1-1 1/2 cup of water to this and bring to boil and cook it covered for about 10 minutes or till its done. Then add the ground coconut paste , mix well and bring to a boil. Then reduce the flame to medium and boil for another 3-4 minutes. Adjust the salt and switch off the flame. Heat 1 tbsp oil in a small pan and splutter mustard seeds. Add 2-3 sliced shallots, dry red chillies and curry leaves and fry for a minute. 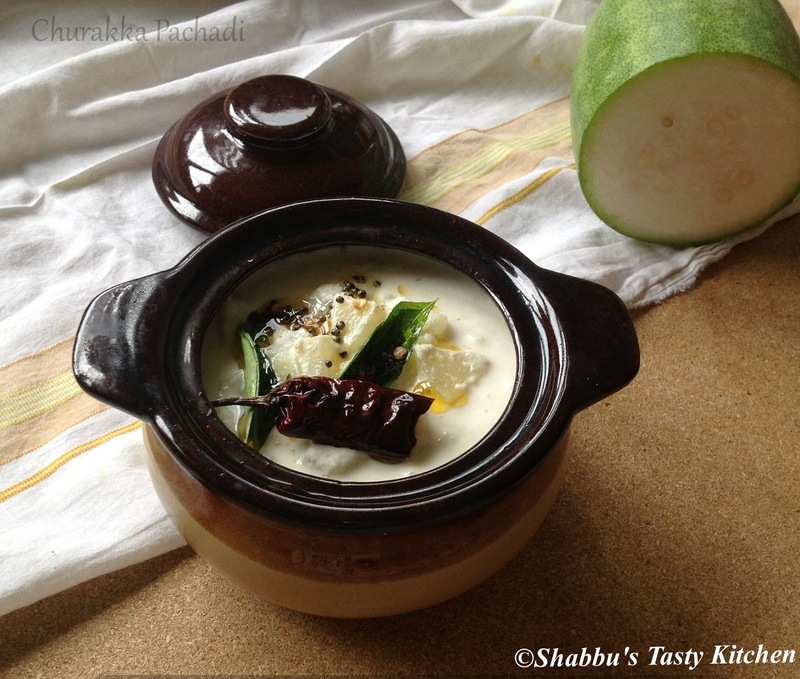 Pour this over the curry and keep it covered till ready to serve....Mix well and serve hot with rice/ pathiri etc.. Remove seeds from custard apples and take out its pulp/ flesh. In a bowl, add the whipping cream and whip until it forms stiff peaks. Add condensed milk , custard apple pulp and vanilla essence to this and beat again until well blended. Transfer into a freezer safe container, cover and freeze it for 8 hours or overnight till well set. Cut the drumsticks into 2" pieces and slit each into 2 pieces. 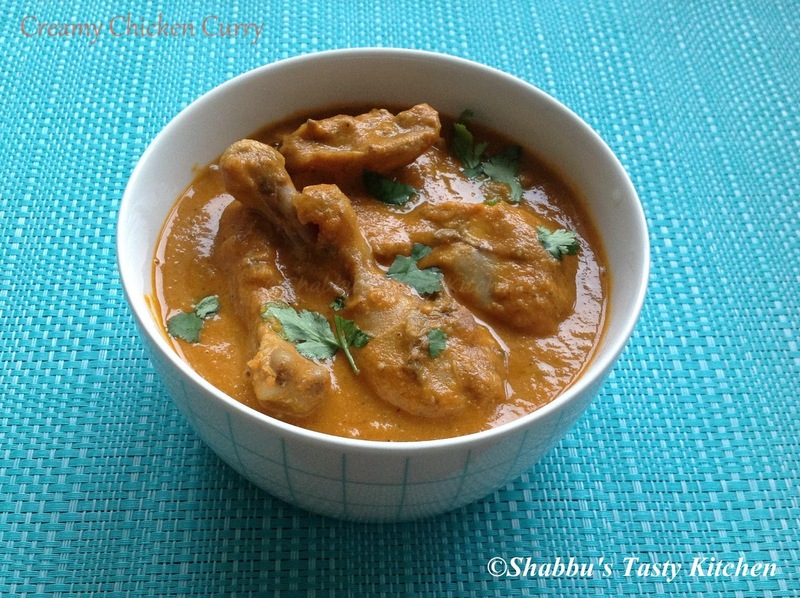 In a pan, add the drumstick pieces, cleaned jackfruit seeds, chilli powder, turmeric powder and coriander powder and cook covered adding thin coconut milk. When it is half cooked, add the chopped mango and salt and cook covered on medium flame till done. Then add thick coconut milk and when it starts to boil, switch off the flame. Heat oil in a small pan and splutter mustard seeds. Add dry red chillies, sliced shallots and curry leaves and fry. Grind together shallots, tomato, dry red chillies, tamarind and salt to a smooth paste. Heat oil in a pan and splutter mustard seeds. Add urad dal, curry leaves and the ground paste and cook on medium flame until the mixture oozes out oil. Remove the methi leaves from its stem and wash them thoroughly. Add methi leaves and saute for 2 minutes on low flame. Remove it from the flame. Grind grated coconut, cumin seeds, 2 dry red chillies and 1/2 tsp turmeric powder together to a smooth paste adding little water and keep it aside. In a pan/ manchatty, add the cleaned prawns, chopped ridge gourd, chilli powder, turmeric powder, green chillies , ginger and salt and mix well. Add 1-1 1/2 cup of water to this and cook it covered for about 10 minutes or till the prawns and ridge gourd is cooked and soft. Then add the ground coconut paste and bring to a boil. Then reduce the flame to medium and boil for another 3-4 minutes. Switch off the flame. Heat 1 tbsp oil in a small pan and splutter mustard seeds. Add sliced shallots, 2-3 dry red chillies and curry leaves and fry till the shallots turn golden brown. Clean the koorka/ chinese potatoes and cut it into pieces. Heat oil in a pan and saute finely chopped ginger, green chillies and curry leaves. Add sliced onions and crushed garlic and saute well. Then add turmeric powder, chilli powder, coriander powder, pepper powder and garam masala and mix well till the raw smell disappears. Add chopped tomatoes to this and saute till it turns soft. Now add in the cleaned chicken pieces, salt and 1/2 cup of water and cook it covered. When the chicken is half cooked, add the cleaned koorka pieces and mix well and cook covered on medium flame till done. Preheat the oven to 180 degree celcius. Grease and line three 7 or 8 inch cake pans. ( Here I used 3 pans of loaf cake set). 2. Sift together plain flour, baking powder and salt in a bowl and keep it aside. 4. Add eggs one at a time along with vanilla essence and beat well. 5. Then alternatively add the flour mixture and milk and mix on low speed until it's a smooth batter. 6. Divide the batter equally into 3 different bowls. Keep one batter plain. 7.Add cocoa powder to one bowl and strawberry puree and pink colour to the other bowl and mix well until smooth. 8. Pour the batters into the prepared cake pans and bake in the preheated oven 20-25 minutes or until a skewer inserted comes out clean. 9. 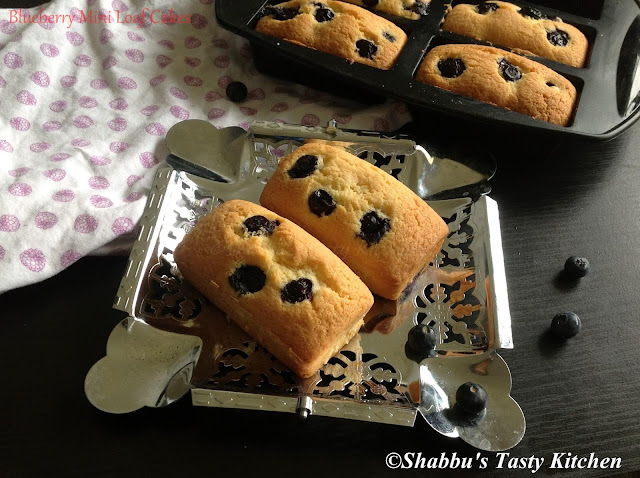 Remove the cakes from the oven and let cool for 15 minutes and then remove from the pans and let them cool completely on a wire rack..
Divide the frosting into 3 bowls. Add brown color to one bowl and pink colour to another bowl and mix well. Leave the third bowl plain/ white. ( I didn't use brown frosting for this cake). Level the top of 3 cakes. In a cake board, place a little bit of frosting and keep the chocolate cake as the base layer and frost it with brown frosting. 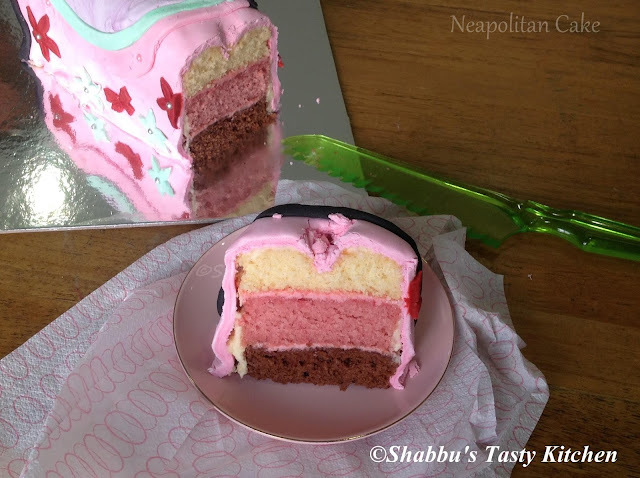 Next place the strawberry cake over it and frost it with pink frosting. Place the vanilla cake as the top layer and frost it with white frosting. Then frost the outside of the entire cake with a thin layer of white frosting (crumb coat) and refrigerate the cake for about 30 minutes. 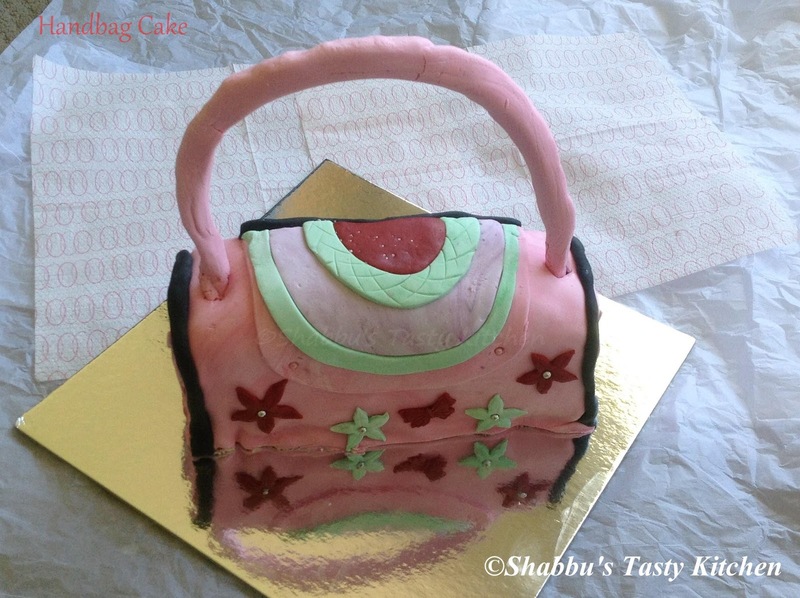 Cover the crumb coated cake with the coloured fondant and design and decorate it like a handbag / purse..